"There's the scarlet thread of murder running through the colourless skein of life, and our duty is to unravel it, and isolate it, and expose every inch of it." I think it only fitting that I end this year's reading of crime/mystery fiction of yesteryear with Sherlock Holmes. 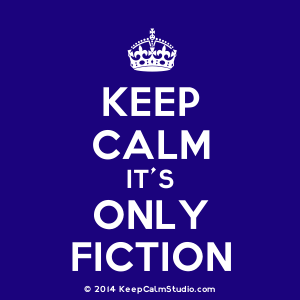 Consider the fact that all of the authors whose works I've read this year still largely remain in obscurity, while you'd have to live under a rock these days not to know about Sherlock Holmes. He endures. Holmes and Watson have been revisited myriad numbers of times on film, television, and in print beyond Conan Doyle's original stories; Sherlockian societies exist worldwide, and there are a huge number of websites like this one that keep the great detective alive, living and relevant. But why? 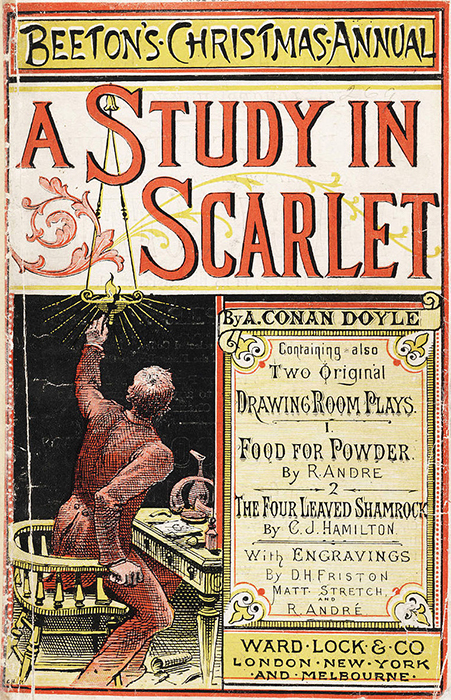 Whether you ascribe to this theory or not, or whatever it is in your own make up that holds fascination for Holmes and Watson, they've been alive and well for 130 years since A Study in Scarlet first appeared in Beeton's Christmas Annual in 1887, after having been rejected by a number of publishers. 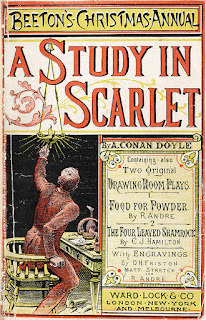 A Study in Scarlet is an unusual novel -- in a big way, it doesn't really cohere like a novel should. The first part of this book brings together Holmes and Watson who both need roommates. Holmes introduces himself as a "consulting detective," stepping in to provide his expertise when government and private detectives "are at fault." Many of his clients come from "private inquiry agents," from whom he collects fees. Shortly after Holmes dazzles Watson with his "intuition," his "special knowledge," and his "train of reasoning," Holmes is called to the scene of a "bad business" at 3 Lauriston Gardens. There is very little to go on at the scene -- a dead body and few clues, the word "RACHE" written in blood on the wall -- but after a short time, Holmes manages to bring the guilty man to his very doorstep, and even knows his name. Leaving the reader wondering how the hell he did that, the next page takes us to "The Great Alkali Plain," and an intriguing story involving Mormons in Utah, a man with an orphaned little girl, and ultimately, a quest for revenge. Then it's back to the final act with Dr. Watson and Holmes for the dazzling solution. 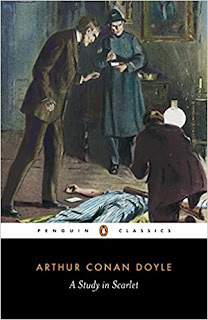 It is a flawed story in terms of its telling, but as Julian Symons notes in his Bloody Murder, it doesn't really matter because "Sherlock Holmes triumphs as a character from the moment we meet him." "... the pleasure one gets from this opening up of a fine machine, so that every cog in it can be seen revolving, is hardly to be overestimated." And perhaps that's why Holmes continues to fascinate over a century after his creation. The introduction in this book is by Iain Sinclair, and it is excellent, making me think of A Study in Scarlet in an entirely new way. I won't go into it, but if you can get this edition, it's well worth having just for that. If your first experience of Holmes and Watson is from the fast-paced, high-tech BBC series with Benedict Cumberbatch, well, the stories might come across as a bit tame. The luckiest people, I think, are the ones who've read the stories first and then watch them play out across the screen.